New York State is a key player in the global digital game development market with a $276 million piece of the action, and Empire State Development’s Division of Science, Technology & Innovation (NYSTAR) continues to encourage industry growth across the state. 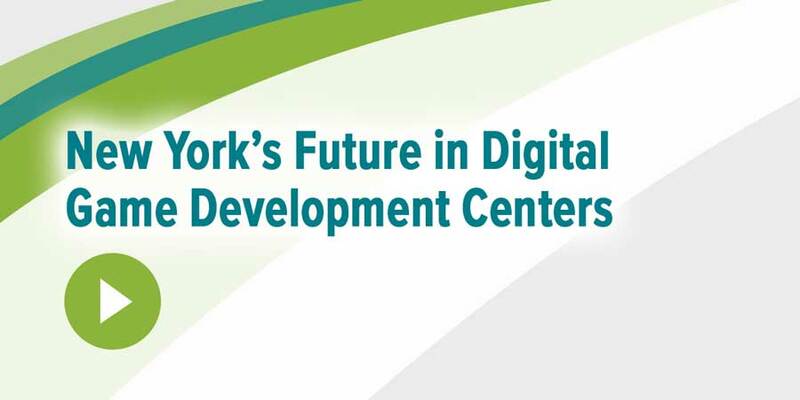 In 2016, NYSTAR designated three Centers of Excellence in Digital Game Development (formerly Digital Gaming Hubs). The three centers—located at New York University, Rensselaer Polytechnic Institute and Rochester Institute of Technology—share the goal of building a network to attract game development talent to the state and keep it here after students graduate. The hubs provide resources and mentoring to encourage students and entrepreneurs to enter the digital gaming industry, and assist existing companies with gaming concepts, technologies, and trends. The RIT Center for Media, Arts, Games, Interaction & Creativity (MAGIC) is a university-wide, multi- and cross-disciplinary center. It utilizes a two-step approach to supporting the growing digital gaming community: creating a “hub” of staffing and technological resources, and using events, media, and engagement tools to gather and connect talented developers and entrepreneurs.